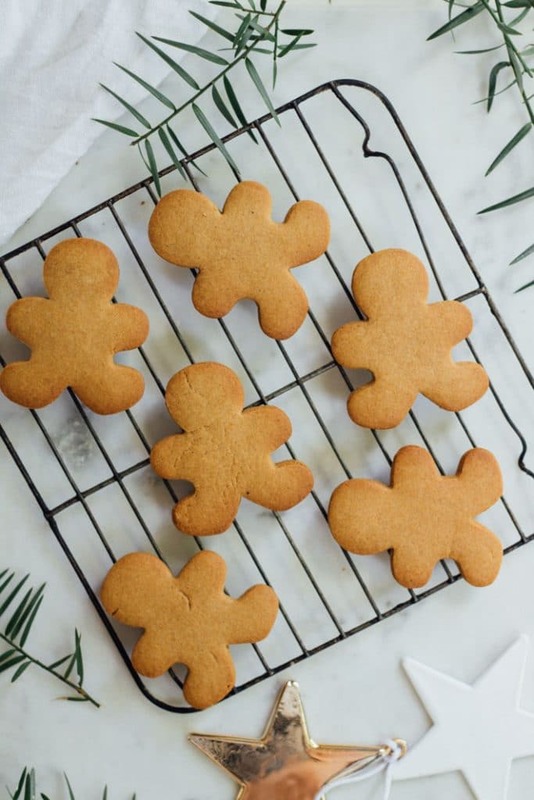 A recipe for Hawaij (hawayij or hawayej) Gingerbread Men. 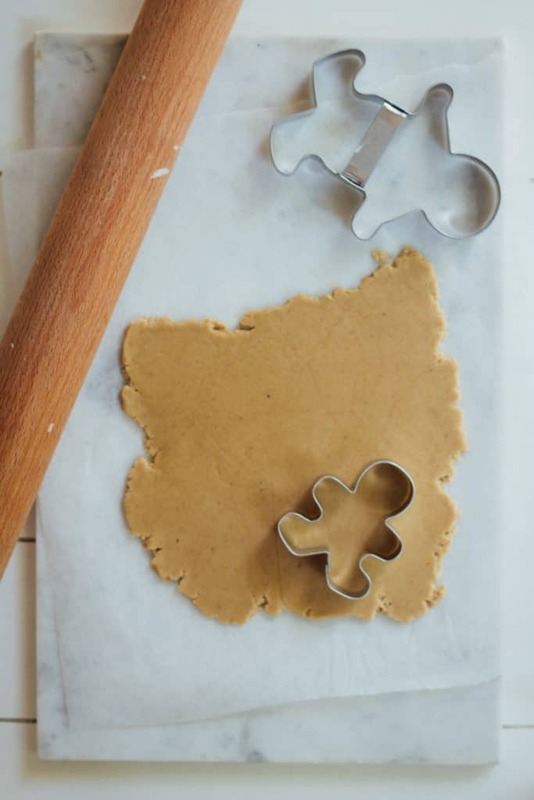 A twist on your classic holiday cookies with cardamom, ginger, nutmeg, cinnamon and clove spices. Jump to Recipe! Hawaij? Whaaaaaaat’s hawaij? It’s a word my auto-spell check hates (turns out my spell check loves hawaii not hawaij which has made writing this post rather frustrating) and it is what is going to make your gingerbread freakin’ awesome this year! Is there anyone in the blogging world who doesn’t have a blogging crush on the unstoppable Molly Yeh or think legendary Yotam Ottolenghi is the best thing since sliced sourdough bread? I found Molly’s blog a year or so ago when I was sitting at my computer, stuck for ideas and decided to go on one of my all too frequent time wasting surfs of food blog sites. Like the rest of the world, I instantly loved her creative quirky food and unstoppable energy. There is a heavy influence of Israeli/Palestinian cuisine on her food and before stumbling upon her site, apart from the occasional store bought tub of watery hummus, I really had no idea what Israeli/Palestinian food was. Well needless to say, I was hooked from the first moment I tasted silky homemade hummus. Fluffy homemade pita, fresh chopped salads, nutty tahini, spicy zhoug, deliciously sweet halva and mountains of fresh herbs…need I say more. To fuel my growing obsession I bought Ottolenghi’s Jerusalem cookbook. I hate store bought hummus and so up until now I ignorantly thought I wouldn’t like the cookbook. I was so wrong. Absolutely every dish I have made so far (and there have been a few) from the book have been literally amazing flavour bombs. If you’re looking for a great gift for any friend’s or family that love cooking then I really recommend this one (and the rest of his books). During my current little obsession I stumbled upon a thing called hawaij (hawayij or hawayej) spice mix. It’s a Yemeni spice mix that’s very popular in Israeli cuisine thanks to the Yemenite Jews living there. There’s a couple of varieties, a more savoury one (based on cumin, black pepper, turmeric, cardamom and some other spices) for things like soups or meat and two sweeter ones for coffee, desserts and baking. I like the one with ginger, cardamom, cinnamon, cloves and nutmeg. 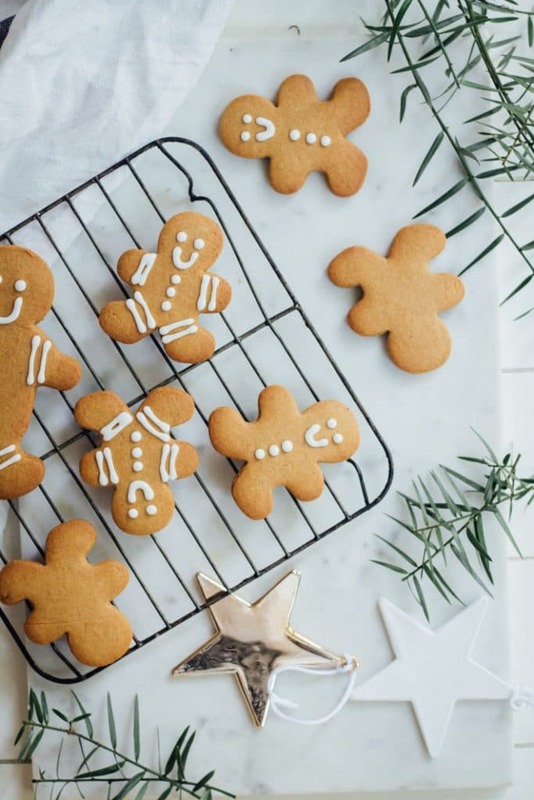 It’s a delicious addition to banana cake, muffins, gingerbread, hot chocolate or even your morning latte…..and it’s freakin’ awesome in gingerbread men! 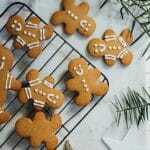 This really is just your regular everyday (well ‘everyday’ this time of year) gingerbread man recipe with hawaij spice mix instead of your traditional gingerbread man spices. 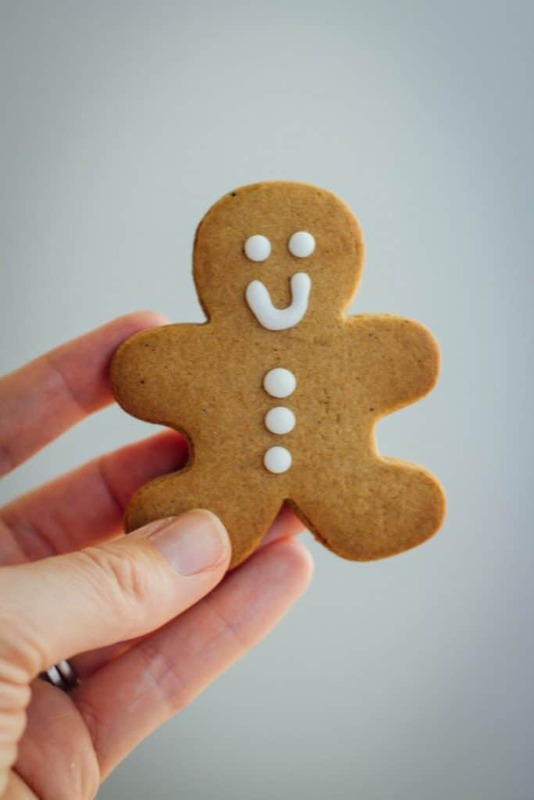 So feel free to just use your favourite gingerbread man recipe and add in the spice mix, but I do recommend this one as it’s foolproof! Enjoy your holiday countdown. Hope you’re not as frazzled as me. We’re moving house in four more sleeps. Who moves house this time of year? Eeeekk!! 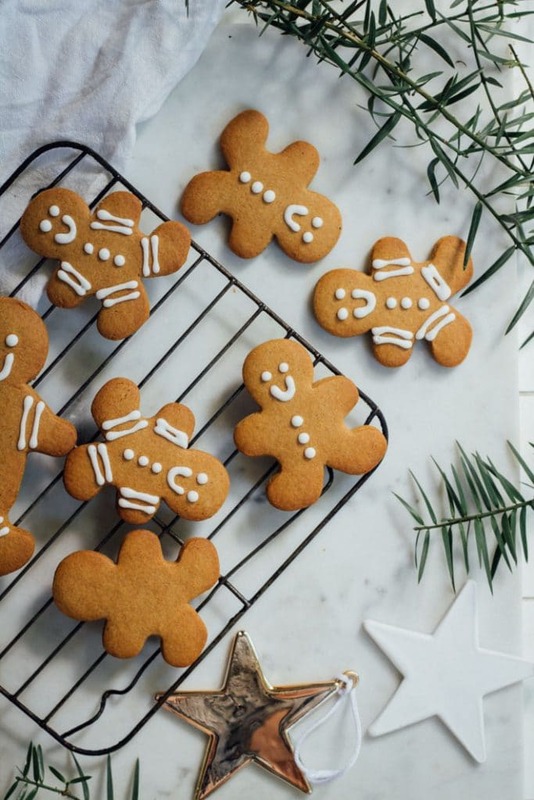 A delicious twist on your classic gingerbread men! 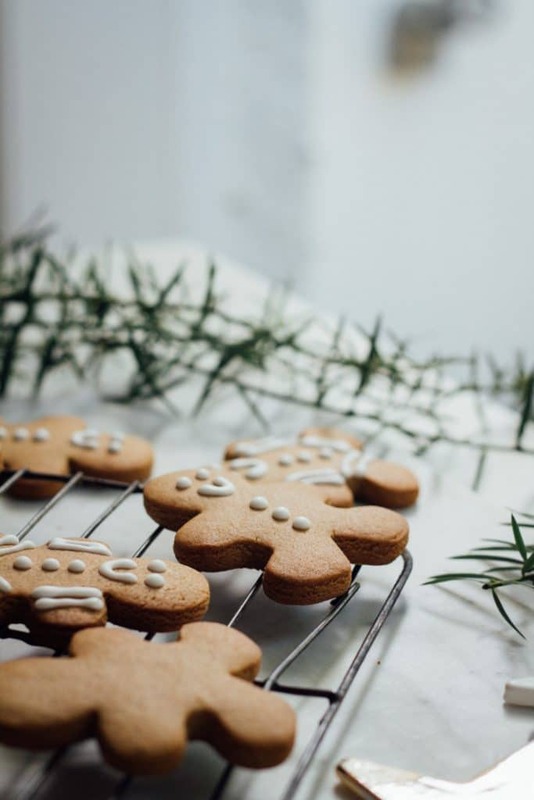 These cookies have a delicious combination of ginger, cardamom, cinnamon, nutmeg and cloves spices. In a small bowl mix together ginger, cardamom, cinnamon, cloves and nutmeg and set aside. In a large bowl add flour, hawaij spice mix and baking soda. Whisk to combine then set aside. In the bowl of a standing mixer fitted with a paddle attachment (or using a large bowl and hand held electric mixer) cream together butter, brown sugar and golden syrup until pale and fluffy. Add egg and mix until incorporated. Add flour mixture to wet ingredients and mix until combined. Be sure to scrape down the sides to ensure all the mixture is incorporated. Tightly wrap the dough in cling film (or beeswax wrap) and refrigerate for an hour. Preheat oven to 160C/320F on fan-bake and line two baking trays with baking paper. Lightly flour a work surface then roll out dough to roughly 5mm/ 1/4in thick (you may want to do this in two batches). Alternatively, place dough between two sheets of baking paper and roll it out between these. I prefer this method as it prevents the ginger bread men taking on two much flour and stops them sticking to the work surface. 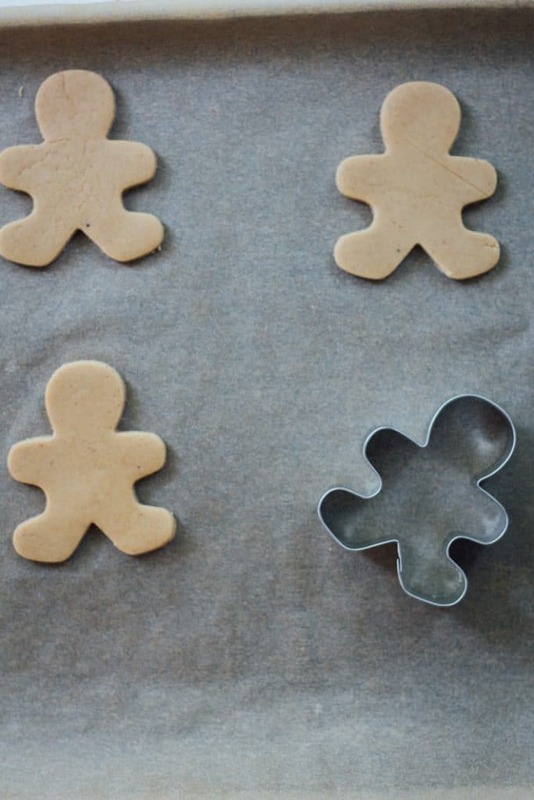 Cut out gingerbread men using a cookie cutter and gently transfer to the lined baking tray. Leave approximately 3cm/ 1 1/4in between the cookies to allow them to spread while baking. Place in the oven and bake for 10-15 min or until they start to turn golden. Remove from oven and allow to cool for 10 min on the tray before transferring to a wire rack to cool completely. Place egg whites, lemon juice and 1 1/2 cups of icing sugar in the bowl of a standing mixer fitted with a whisk attachment. Beat until mixture is smooth and shiny. If the mixture is too runny, add more icing sugar until you reach a thickness that will allow you to pipe the icing. Transfer icing to a piping bag fitted with a small round tip, or alternatively place icing in a zip lock bag and snip off the corner. 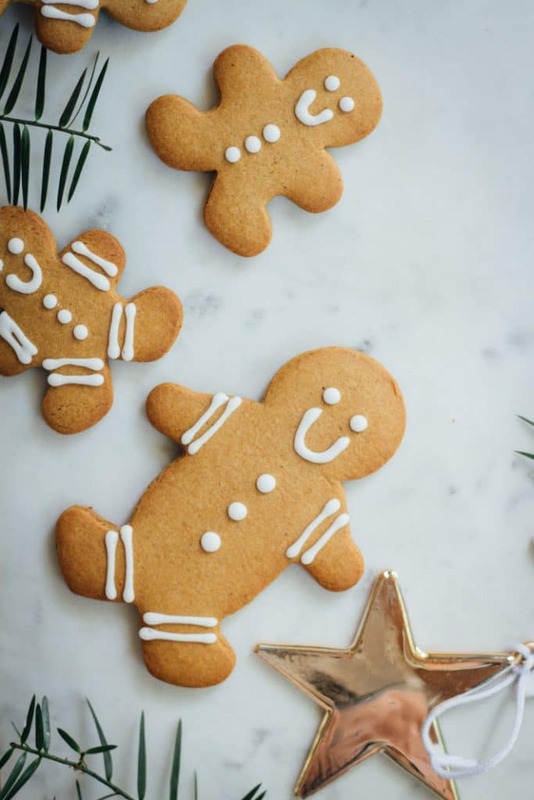 Decorate gingerbread men then allow the icing to set. Gingerbread men will keep for up to 3 days in an airtight container at room temperature. Recipe adapted from Bluebell’s Cakery by Karla Goodwin.